Borussia Dortmund’s Christian Pulisic has been named Young Male Athlete of the Year by the U.S. Soccer Federation. Pulisic garnered an astonishing 86 per cent of the vote, beating Seattle Sounders forward Jordan Morris and Charleston Battery winger Andrew Carleton into second and third place respectively. 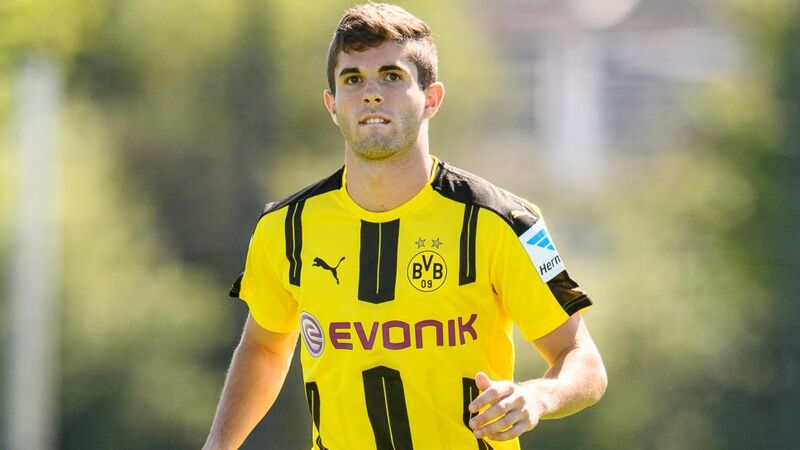 Is Pulisic in your Official Fantasy Bundesliga side? If not, snap him up now! The 18-year-old has broken a whole host of records since making his BVB debut in a 2-0 win over FC Ingolstadt 04 in January 2016. On 17 April, he became the youngest foreigner to score a goal in the Bundesliga, opening the scoring in a 3-0 victory against Hamburger SV. Six days later, Pulisic was on target in another 3-0 win at VfB Stuttgart, becoming the youngest player ever to score twice in the German top flight. He become the youngest American to play in a FIFA World Cup qualifier when he appeared as a substitute in the USMNT’s 2-0 defeat to Guatemala in March 2016. He then found the back of the net in a friendly against Bolivia on 29 May, becoming the USMNT's youngest modern goalscorer at 17 years and 253 days. Head here for more Borussia Dortmund news!